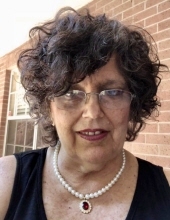 Terry Ruth Bodwell, age 68, of Houston, Texas entered into eternal peace on Tuesday, February 5, 2019 in the comfort of the home of her daughter, Gemma Smith and daughter-in-law, Tana Corley. Terry was born April 8, 1950 in Joplin, Missouri to parents, Charles and Delilah DeBolt. When Terry was a small child, her parents moved to Independence, Kansas where Terry lived until she graduated high school. While in high school, she was very active in the marching band playing the flute. She graduated Independence Senior High School in 1968. Upon graduation, Terry enlisted in the Army. Terry was stationed at Aberdeen Proving Ground, Aberdeen, Maryland during her enlistment in the Army. She was extremely proud of her time served in the military. Terry was a Christian; she remained committed to her Lord and her church homes, beginning with First Baptist Church in Independence, Kansas to the chapel at Brookdale Senior Living in Houston, Texas. Terry was a great cook and loved fixing meals for her friends and family. Everyone loved her fried chicken, potato salad and Thanksgiving dressing, not necessarily served at the same time. For years, Terry was an avid scrap booker spending time saving precious memories of her family. Terry’s love for her children and grandchildren is admirable. She was so very proud of her children’s accomplishments and loved each one uncondionally. Terry cared about and loved her family and friends with every ounce of her heart. Terry is preceded in death by husband and high school sweetheart, Udell Arthur Bodwell; father, Charles Robert DeBolt; grandparents, Charles “Pops” and Phyllis DeBolt, and Ray and June Lea; uncle and aunt, Sam and Lois Wiles; and her beloved nephew, Kyle Douglas Ekstrom. To send flowers or a remembrance gift to the family of Terry Ruth Bodwell, please visit our Tribute Store. "Email Address" would like to share the life celebration of Terry Ruth Bodwell. Click on the "link" to go to share a favorite memory or leave a condolence message for the family.